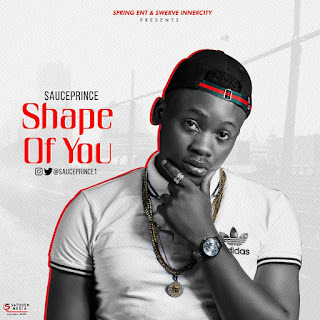 ring Entertainment & Swerve Innercity Management Act, "Sauce Prince" took his fans on a ride with “Say You Love Me” few weeks ago which left them clamouring for more good music and refreshing sounds. Sauce Prince is Notable for his creative lyrics, delivering new and revitalising songs, “Shape Of You” further establishes him as an Artist who can dazzle conveniently with any genre of music and still produce a master-piece. Without doubt, he is consistent, intelligent and obviously a new school Artist to be taken seriously. Hit that play button and tell us what you think!